It’s exciting from the start – putting the menu together, shopping for the ingredients, preparing what I can in advance – it usually ends up being a few days of activity, all of which culminates in sitting down at the dinner table with (hopefully) delicious food and people I love. This was no different and the main course was chosen for me by a bargain find of a shoulder of pork. I asked for some inspiration on Twitter and got some good suggestions which I will definitely be trying when the weather gets warmer – keep your eyes open or pulled pork with fennel slaw! – but none really hit on what I was after for this meal. In the end, I decided to go with an Italian classic – fennel seeds, chilli flakes and garlic. I scored the skin of the pork and, after toasting the fennel seeds in a dry pan and bashing everything up together in a pestle and mortar, I rubbed the mixture into the scores. Then I loosely covered it with greaseproof paper and refrigerated overnight. The original recipe says to remove the skin, but I love crackling and couldn’t imagine wasting what can become something so beautiful. Having made it, I can see why they suggest it because there is a significant amount of fat under the skin which doesn’t get crispy and there are people who find this off putting – obviously, I’m not one of them. If you’re trying to impress or want to be a considerate host, you can remove the skin and make the crackling separately. I roasted the pork in a low oven for about three hours after an initial 30 minute blast of heat to kick off the cooking. It came out pretty moist, although not as moist as I expected, but served with pan juices and homemade apple and pear sauce it was lovely. As an accompaniment, I decided to use a great British vegetable which can often be overlooked: celeriac (or celery root in the US). It is, as the name implies, a type of celery grown for it’s edible root which is used throughout Europe, perhaps most notably in rémoulade. It has a celery taste to it and matches well with pork and apples, so it was perfect for this! I used a whole bulb of celeriac along with the equivalent of a large potato (about four or five small ones). The celeriac needs a bit more cooking, so add the potatoes in after it’s been boiling away for a bit. 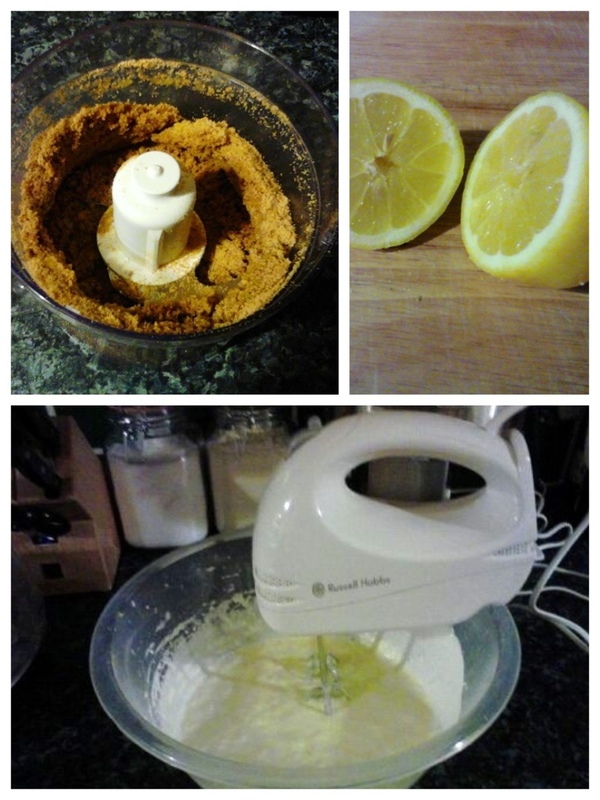 I mashed it with salt, white pepper, butter and thick cream. My second side was a simple green bean dish with breadcrumbs and toasted pinenuts from the Two Greedy Italians cookbook which I can highly recommend – and as someone who, on the whole, finds Italian food a little underwhelming, that’s saying something. You cook the beans as normal, toss in butter and serve with toasted breadcrumbs and pinenuts sprinkled over the top. Apparently they have a similar dish in Poland (minus the pinenuts), so these went down a treat! My starter also came from the Greedy Italian duo and is a huge hit every time without fail. It’s minted zucchini crostini and it is so simple, but the combination of flavors is surprisingly savory. 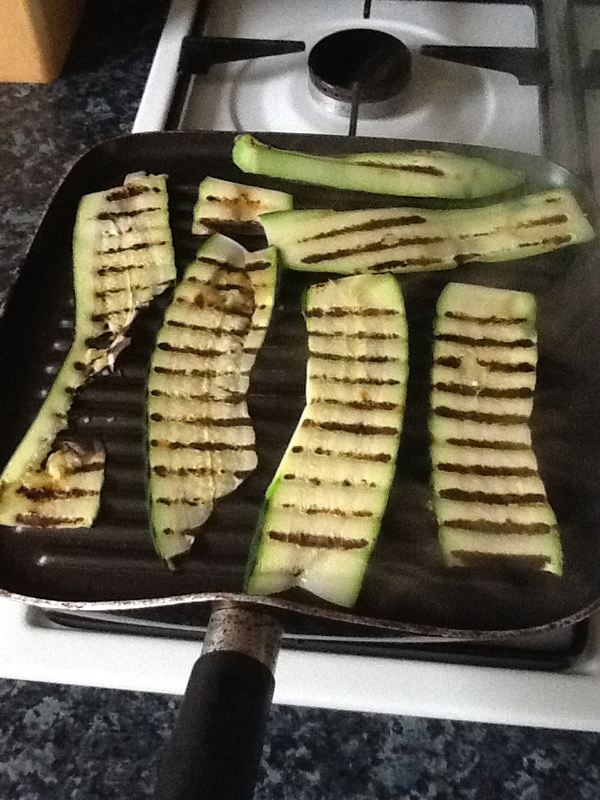 You thinly slice a large zucchini (courgette) and either grill or cook in the oven until just soft. Then marinate it in garlic, mint, olive oil, white wine vinegar and salt and pepper. The longer it sits in that jacuzzi of bliss, the better. I always serve it room temperature, after a good session of marinating, on oiled, toasted bread.